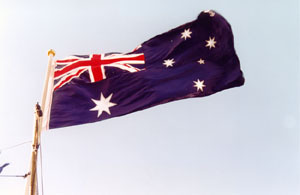 The chief national symbol of Australia by law, custom and tradition, the Australian National Flag, had its 100th birthday marked by a special series of ceremonies around Australia on 3 September 2001. 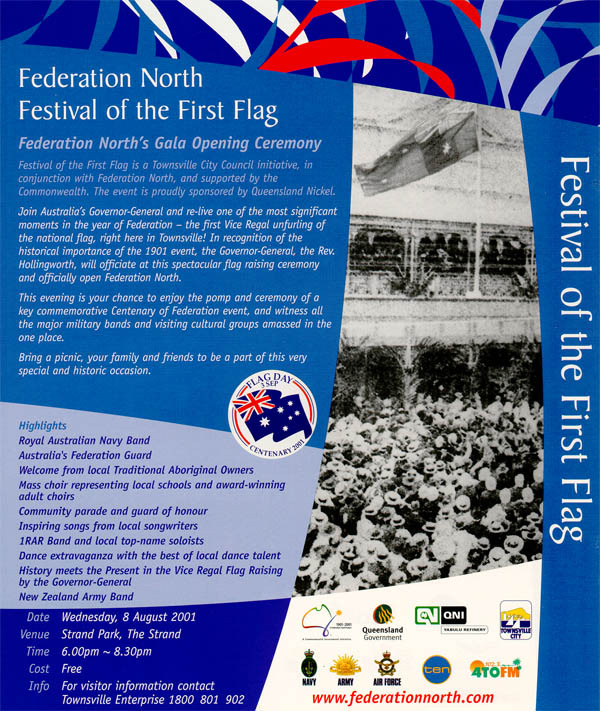 In particular a major event, The Festival of the First Flag, was held in Townsville. All ceremonies celebrated the importance and significance of our national symbol and brought members of the community together. Please click here for details of the Centenary Flag. 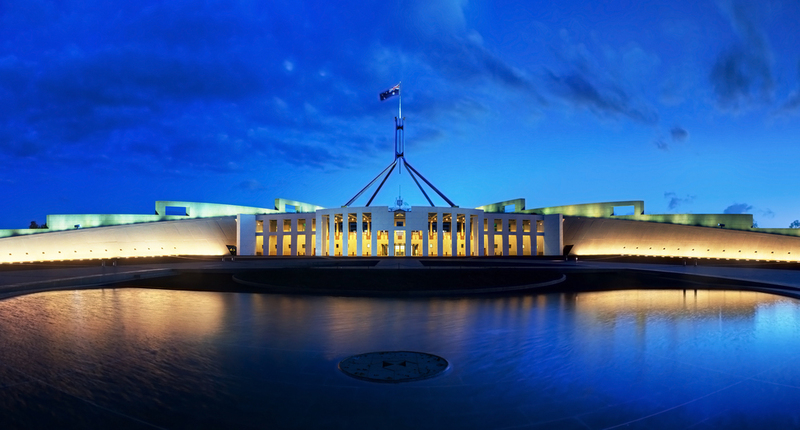 Recognises and celebrates the centenary of the Australian National Flag which occurs on 3 September this year. Honours the ideals for which our national flag stands including our history, geography and unity as a federated nation. Notes that this is the world’s only national flag ever to fly over one entire continent. Acknowledges that our flag has been Australia’s pre-eminent national symbol in times of adversity and war, peacetime and prosperity. Recognises that our flag now belongs to the Australian people and has been an integral part of the expression of our national pride. 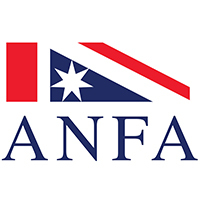 Expresses its respect for the Australian National Flag as a symbol of our profound achievements as a federation; our independence and freedom as a people; and our optimism for a common future together.